architecture with a distinctly Latin American flair, Ybor City might be more your pace. Busch Gardens, one of the great American amusement parks, can be found in North Tampa, and provides a very quality experience for thrill seekers. 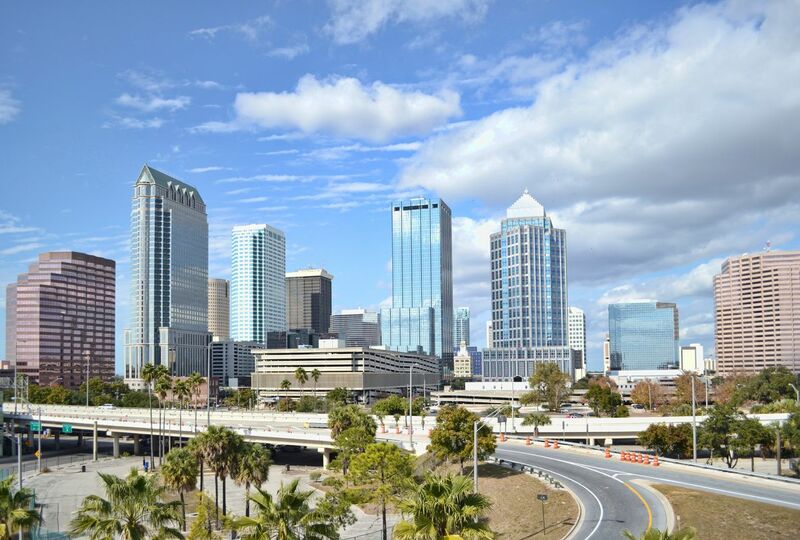 There are also lots of museums and zoos around Tampa, including the Florida State Aquarium downtown. Many seniors call the bay home thanks to her pleasant climate, but it’s the combination of great location, a fascinating arts scene and plenty of sunny activities in Tampa that make it one of Florida’s more popular destinations for visitors, as well. hitting 90F (32C), but the prices are better and the crowds are less overwhelming. If you travel at that time of year, just make sure you take a respite from the midday sun somewhere cool… like a shady beachside bar. Tampa is OK. The city itself can be seedy in parts, but Ybor City is super cool. Plus Busch Gardens is here and there's lots of cool little towns nearby with amazing beaches. Swimming in the warm Gulf is amazing! I really like this area of Florida. This is a very dynamic city on the east coast of Florida and the western end of Route 4 which starts at Daytona. Ameliea arena seeing Dolly Parton. The parking was great. I took an uber there which was awesome. My phone died and had to take a cab back. The price of the cab was almost double from the uber. Its a prefect place to have a concert. Tampa, a newcomer to the survey, made a dramatic entrance by ranking within the top 10 for its snob appeal. Every sophisticated city needs a SoHo, and in Tampa, it’s South of Howard. The upscale Southside delivers good people-watching and dolphin-watching along Bayshore Boulevard. It’s also where you’ll find the Epicurean Hotel, which has a wine shop and a cheeky dessert shop called Chocolate Pi, and faces local institution Bern’s Steak House. Readers also acknowledged Tampa for its cleanliness, giving locals another reason to feel superior. Just as Yankee Stadium has been, over the years frequently called, "The House that Ruth Built," so Tampa could be called the city that Henry B. Plant, and a wave of immigrants (primarily Cubans, Germans, Italians, Spaniards, etal.) built. Henry Plant brought the railroad to Tampa, dredged the port for his steamships, and built a world-class hotel in the late 19th century, and thousands of newly arrived immigrants provided the labor to make Tampa what it is today. Tampa Florida is another of my favorite beach cities to go to. I love the warmer oceans that the Gulf Stream brings in and the pretty clear blue water. The beaches tend to be more the soft white beaches and no seaweed thank god. It tends to be more of a relaxing vibe with the locals, and there are some exciting local wildlife near the rivers.